Later the farmer was on the ship. At first the cruise was good, but suddenly there was a heavy storm. The ship could not continue the cruise to Java. It harbored in Mice Island. People named it Mice Island because there were so many mice lived in the island. The nice attacked people's barn and ate their supplies. The people were hopeless. They did not know how to combat the mice. 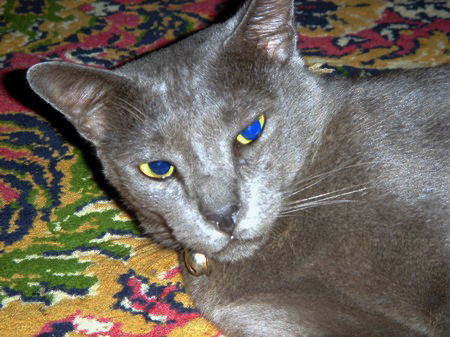 Raas Cat is one of the purest Indonesian cat breed with special characteristics, located in Madura. Belum ada komentar untuk "A Farmer and His Three Cats"